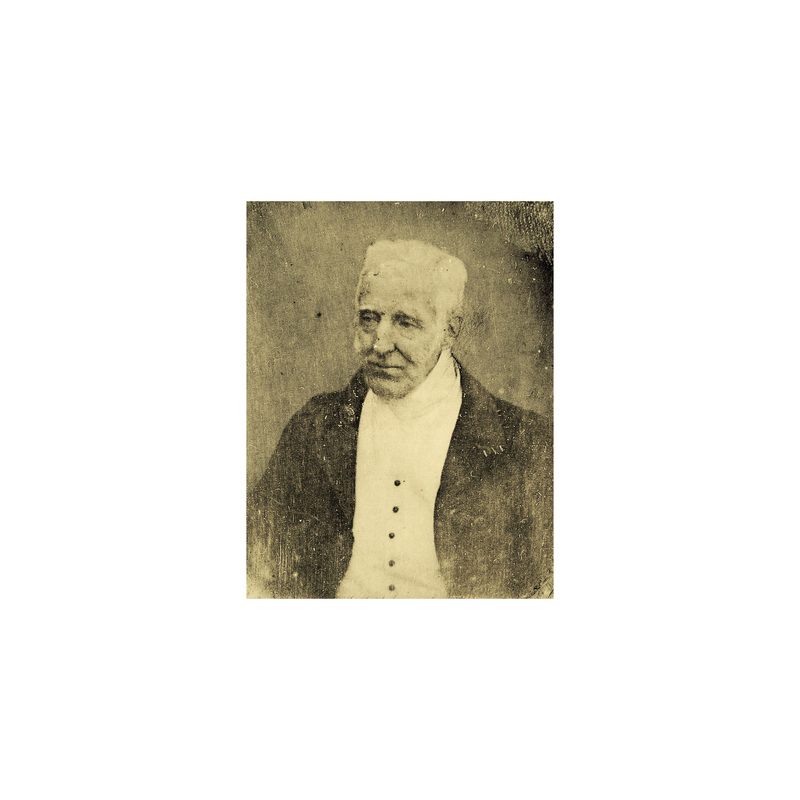 Daguerrotype of the Duke of Wellington. 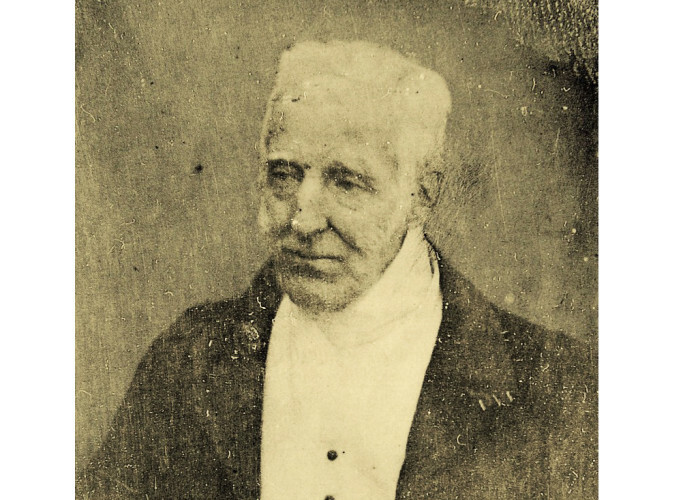 This photograph of the Duke of Wellington, known as a daguerreotype, is housed at Stratfield Saye, the Duke’s country house. The Duke was 75 when the image was taken in 1844 by Antoine Claudet, court photographer to Queen Victoria and Emperor Napoleon III. Claudet was a pupil of another Frenchman called Louis Daguerre who invented the first photograph in 1839. 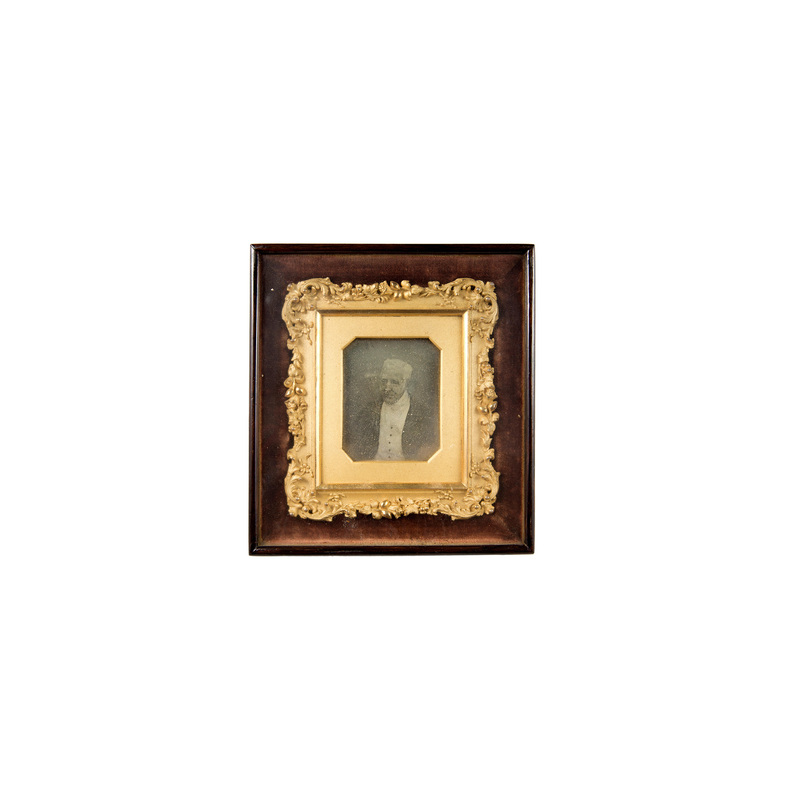 A daguerreotype was made on a sheet of silver-plated copper, polished until it shone like a mirror. The plate was exposed to iodine before being inserted into a box camera. Exposure time could last for 20 minutes. Then the plate was developed over heated mercury until an image appeared. Further products were used to stabilize the image so that it could be sharp and detailed if viewed in the correct light. Wellington had lived long enough to witness the many new technologies that were powering the Industrial Revolution. The new invention of photography must have intrigued him sufficiently to submit himself to a long and tedious sitting in front of a camera. After all, he hardly needed the publicity. He was not just celebrated as the greatest soldier of his age but had held important offices of state including that of Prime Minister. 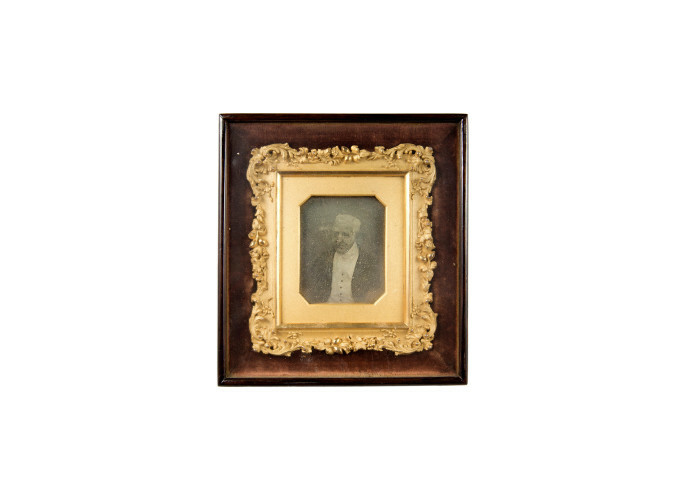 Of all the hundreds of paintings and engravings made of him, this daguerreotype, clearly portraying his strong features and grave expression, was probably the most true to life. It was widely copied and appeared on fans, snuff boxes and other Wellingtonian memorabilia. You can download a higher resolution image below, but please note the conditions of the licence.